sterling silver jewellery york fashion jewellery Fashion Jewellery: Bracelets and Bangles Sterling silver jewellery range of Fashion and Danon jewellery. Welcome to our fantastic range of fashion jewellery bracelets. Here you will find a wide and varied collection of bracelets and bangles from leading UK fashion jewellery designers. At Rue B we aim to include bracelets to fit every style, so you're sure to find something to your taste. Our fashion bracelet collection ranges from dainty chain and drawstring bracelets to chunky statement cuffs. Ever popular at Rue B is our affirmation bangle collection, as they make a perfect gift for a loved one, or a great way to be kind to yourself! Be sure to check out our new colourful bracelet collection- they are a beautiful and subtle way to add a splash of summery colour to your look. We also stock a great deal of leather and stainless steel bracelets for both men and women- check our some our bestsellers here, here and here. We recommend our fashion bracelets to everyone because they are beautiful, durable, easy to look after and affordable. 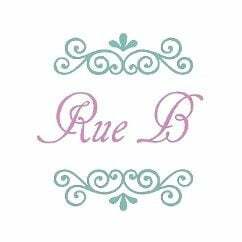 We will always ensure that Rue B fashion earrings are suitable for even the most sensitive skin, and as such our fashion range is composed of hypoallergenic plain white metal alloys plated with silver, rhodium, gold or rose gold, and contains absolutely no nickel. Our entire range is affordable and is beautifully presented in our signature Rue B gift wrapping.